I love Halloween. It is my favorite time of year. While I love the warm weather of summer, I love when the weather gets a little crisp and the leaves start changing. AND I get to bring out all of my Halloween decorations. So what better way to bring in the Halloween season than with Slime for Halloween. We make lots of different slimes. 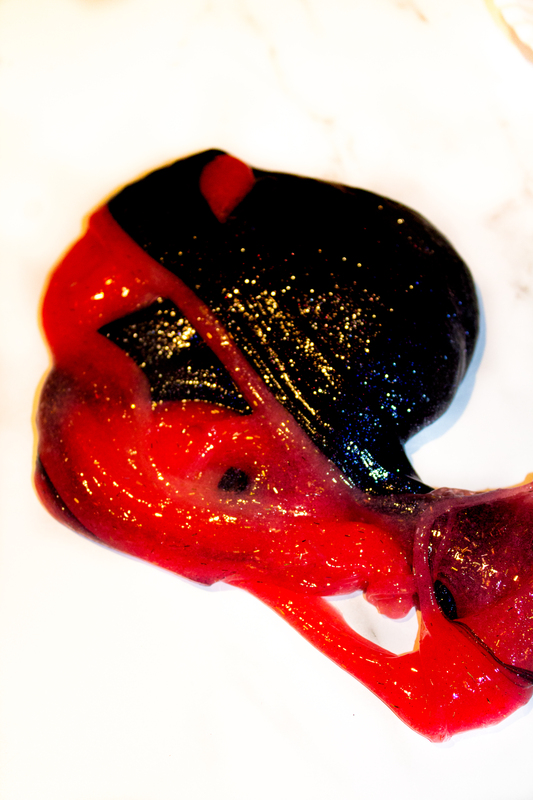 We have monster slime, which would also be fun for Halloween with the eyes in it, and crunchy slime and glitter slime. 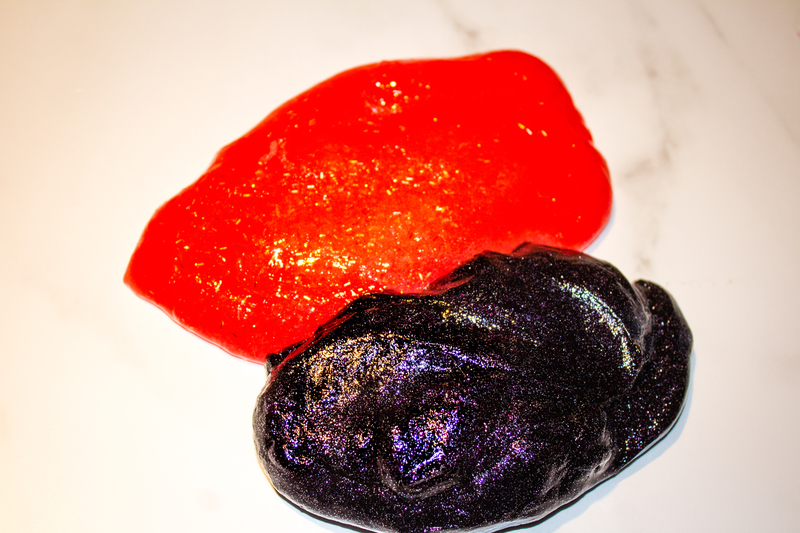 This orange and black glitter slime is great fun for Halloween. The kids will get hours of enjoyment playing with slime. All of the slimes we make is borax free. I want to make sure anything that my kids are playing with is safe for them. playing with borax free slime is safe and nontoxic. While many people make slime with borax, with not bad side effects, it has been documented that borax can cause burns and respiratory issues. That is why I always recommend that you always make slime without borax. This slime for Halloween is easy to make. Slime, in general, is easy to make. 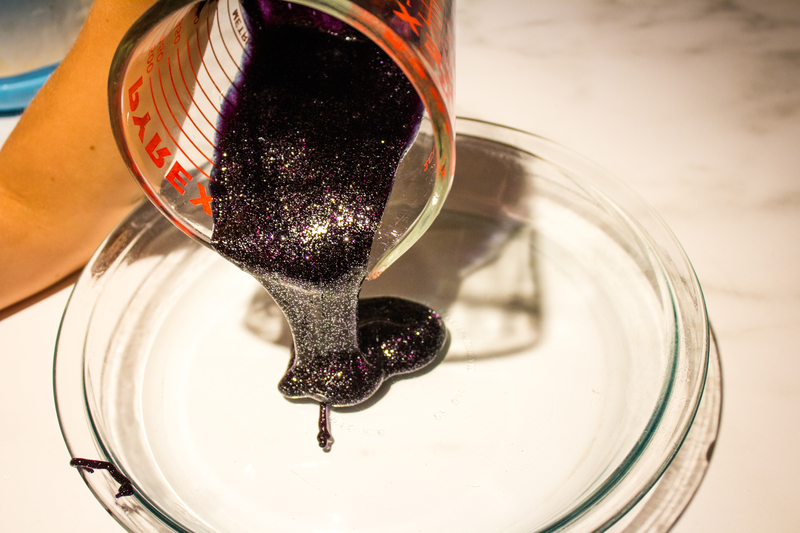 This Slime for Halloween is made with using orange and black glitter glue. 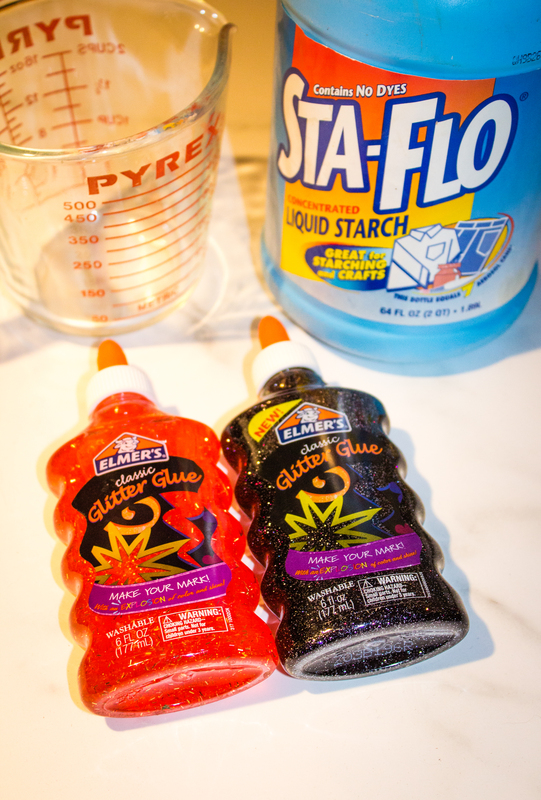 That makes this a really simple craft for Halloween because it is a pour and mix slime. No need to worry about food coloring. Orange and Black can be hard colors to mix without adding a lot of food coloring. 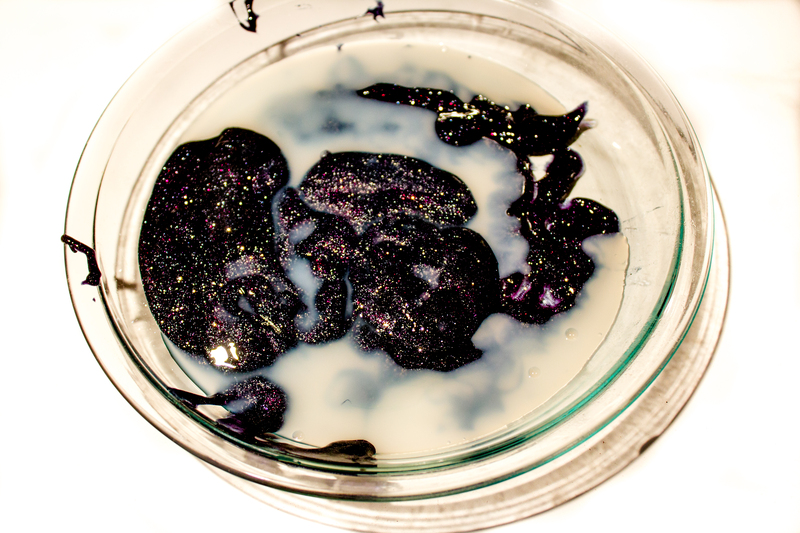 If you do decide to use food coloring, I recommend using Wilton gel colors. 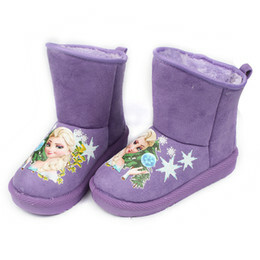 You can add food coloring to get bright colors without thinning things out like traditional coloring. It works great with baking too. 2/3 cup Sta-Flo starch (separated into 1/3s)- Any liquid starch will do. Sometimes I get mine from the dollar store, which is a much smaller bottle. I like to keep the one from Amazon on hand though. Add in the starch and mix. Once the slime starts to come together, mix by hand. The make the other color the same way. Once both colors are made, it is time to play. Other fun Halloween crafts: Pom-Pom Ghosts, Spider Hair Accessories, and Googly Eye Vase.